PRESS RELEASE – GOOD NEWS EVERYONE !!! 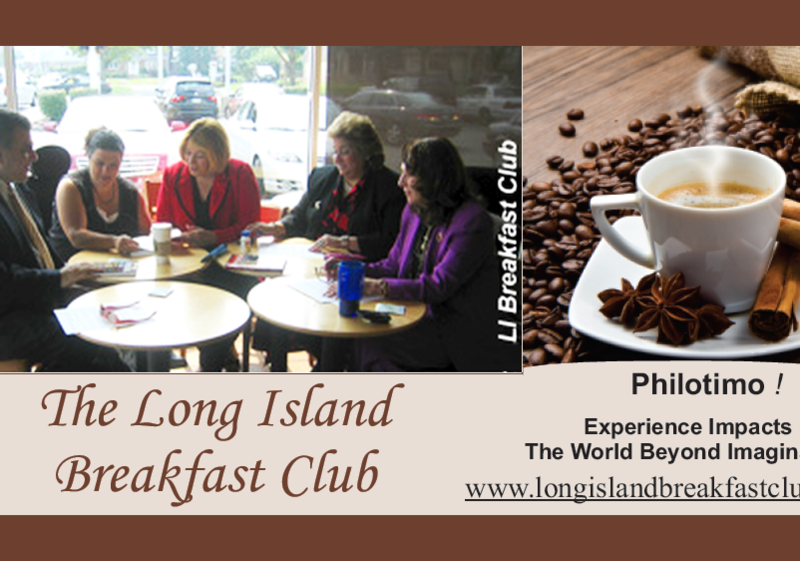 Long Island Breakfast Club Welcomes you with Philotimo ! THOUSANDS ACROSS THE COUNTRY WILL BE TAKING THEIR MORNING BREAK THURSDAY JUNE 18TH AT 8:00 AM WATCHING THE LIBC DYNAMICS ON CNN AND LIVE THURSDAY JUNE 18TH EVENING AT 8:00 PM! Thousands OF People across the US will be having breakfast in their offices and homes with the Long Island Breakfast Club on Thursday, June 18th at 8:00 AM and 8:00 PM. An exclusive interview was held at a recent meeting by the CNN producers in West Hempstead, Long Island Hosted by The Bristal in Woodmere, Long Island. The Long Island Breakfast Club is GOING LIVE On Thursday Evening June 18th at 8:00 pm with host Anderson Cooper and Ali Velshi on the “CNN Money Summit “Money and Main Street,” airing on CNN Thursday 6/18 at 8:00 am and 8:00 pm! This hour will explore the consequences of the job meltdown as it has been felt on Main Streets across America.As stated by Founder Valentina Janek, “Although it is not uncommon for people to frequently change jobs, it is a struggle for middle age seekers to gain employment. – “They say in the end, all that really matters are the connections and relationships people share.” “When people come together simply due to similar circumstances, things happen.” The founders are accepting new members and considerations for submissions for stories to be published in a new book called “Life After The Big Bad Boot.”The organization is an example of diverse individuals forming together to part of the big plan to decrease age discrimination as well as promote “Experience Counts!” The founders are accepting new members and considerations for submissions for stories on the effects of downsizing and interviewing to be published in a new book called “Life After The Big Bad Boot.”Next meeting will be held on Saturday July 11th 2009 at 9:00 AM. The Long Island Breakfast Club was founded in 2006, an organization providing advocacy, support, career and employment counseling, referrals and good old-fashioned laughter to prepare experienced mature individuals for productive employment. Counted among the membership are women and men who have recently been downsized and looking for support to continue positive reinforcement to gain employment back in the corporate world. Membership is encouraged for any individuals who need the extra support to continue momentum in searching for jobs in the mid-life years. The Long Island Breakfast Club invites members of all ages, male or female, to join our ranks and experience the camaraderie and bonding to help you get through the interviewing cycle in mid-life. The organizations strong proponents are to work with individuals who need the positive reinforcement to job search after losing a job in the mid-life years. It is the goal of the organization to assist with providing referrals, companionship, business networking and contacts for interviewing as well as mentors for each individual’s success. The Club currently is servicing the communities of Nassau and Suffolk Counties, and was founded by five individuals who were seeking employment and experiencing much difficulty due to their wealth of experience and their age. 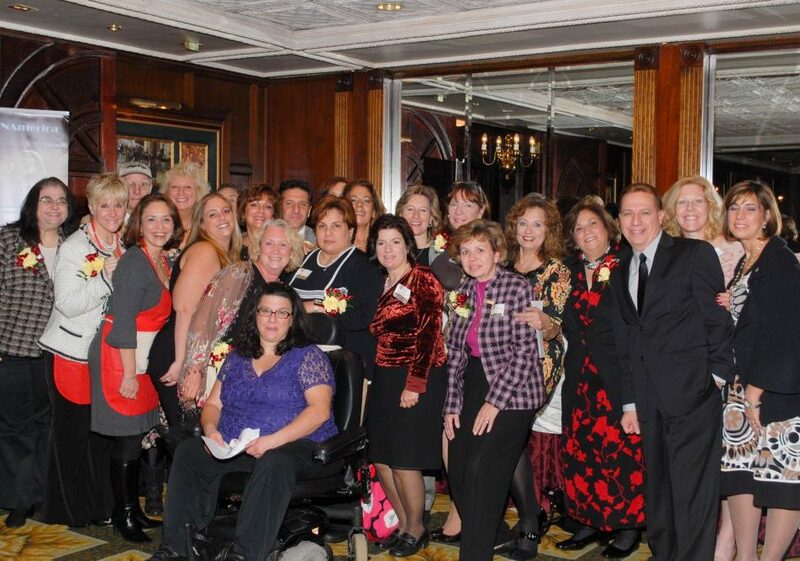 Congratulations to Valentina Janek & her team at the Long Island Breakfast Club. CNN was at LIBC’s last monthly event and liked it so much they want to shoot LIVE, so here’s the deal: The Long Island Breakfast Club – LongIslandBreakfastClub.org will be on CNN’s Money Summit / Money and Main Street II Show, hosted by Anderson Cooper & Ali Velshi – Live Thursday 6/18 @ 8PM. Check it out, good chance you’ll see fellow LI networkers. Nice. Some clubs are started by employment consultants — sometimes out-of-work ones — who hope to drum up clients. 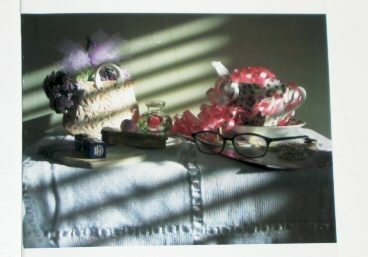 Others arise spontaneously. The Long Island Breakfast Club began three years ago in a diner in Melville with five middle-aged, out-of-work professionals who had been commiserating over coffee and doughnuts. Soon the diner owner, too, wanted nothing to do with them — for loungers, they were not ordering enough food. And so, homeless as well as unemployed, the group expanded into a formal organization, charging $15 in annual dues and cadging space for meetings from large restaurants and assisted-living centers. “That can make you leave the interview feeling like a moron,” said Ms. Carlino, 61, who is also one of the original five and has been out of work since April. 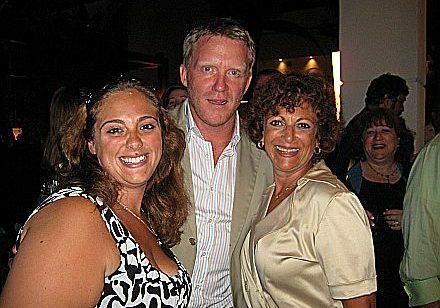 Long Island Breakfast Club has announced that it will honor North Hempstead Town Receiver of Taxes Rocco Iannarelli at an Italian Heritage Day Event entitled An Evening in Tuscany to be held at The Westbury Manor, Jericho, New York from 6 to 11 p.m.. Tickets are available at $85 per person. 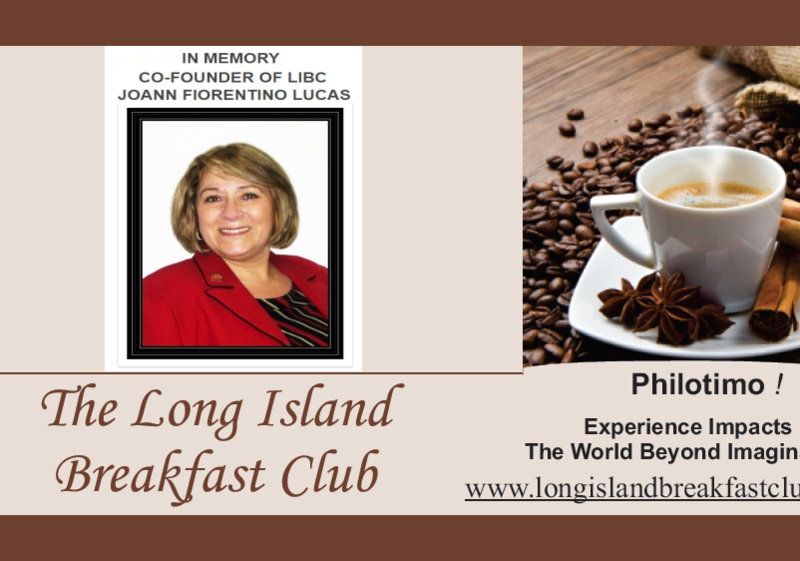 This fundraising event is sponsored by the Long Island Breakfast Club, a career advocacy organization for mature professionals with a motto of “experience counts.” For further information www.LongIslandBreakfastClub.org. Elise Negrin is divorced, 56, and, for the past 19 months, out of work. With more than 25 years of experience, she is perplexed that almost nobody calls her back, even for an interview. Her unemployment benefits run out before the end of the year, and she’ll soon run out of money. “Earning an income from your experience and abilities can be daunting – especially when corporate gatekeepers are tightening their financial belts and turning a deaf ear to your voice. That’s why the Long Island Breakfast Club is happy to announce “Be The Media,” a presentation by speaker and author David Mathison on how you can earn a living by getting your work out there independently. This special event takes place on Saturday, August 21st at 9:00 am at The Inn at New Hyde Park. If you want to earn an income from your skills as an entrepreneur, small-business owner, writer, musician, filmmaker, journalist, activist, or speaker, you now have a platform to do so. And you don’t need a major media company, restrictive contract, or full time schedule to do it. 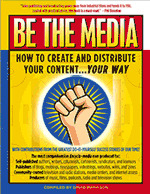 Mathison will show how today’s media renaissance gives you the power to publish your work, self-promote it online, and then earn or supplement an income. To provide advocacy, support, referrals and potential career changes to individuals facing downsizing and layoff. We help them embark upon potential employment remedies. The L.I Breakfast Club is a profit organization who’s mission is to help people over the age of forty find work as well as offer moral support. The clubs monthly meetings begin with breakfast and conversations. They offer a unique approach of networking, career & employment counseling & referrals, support and laughter. 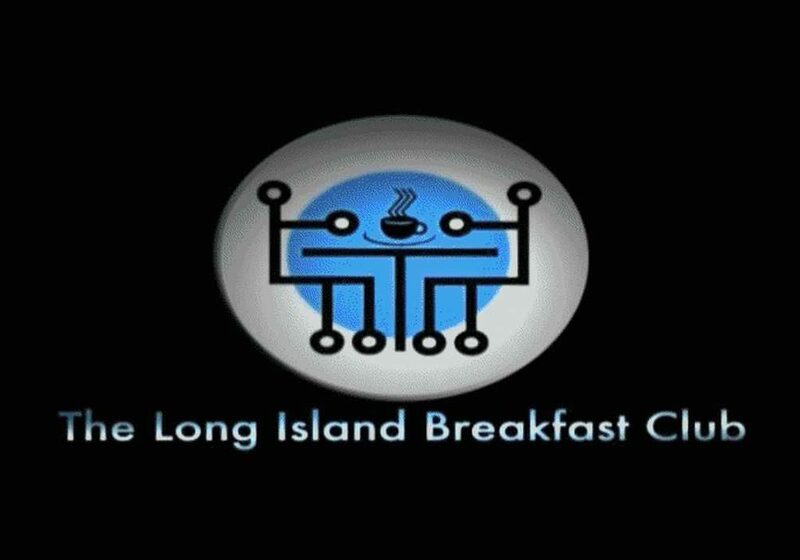 To learn more about the Long Island Breakfast Club please visit their website at http://longislandbreakfastclub.org. From being featured on a segment of CNN’s “Money & Main St.” with Anderson Cooper and ABC’s “News Now” with Tory Johnson, to appearing in a documentary about ageism that is scheduled to appear in the Long Island Film Expo on Friday, the club is currently opening up doors to help make its purpose known on an international level. The club officially formed in 2006 after five middle-aged, unemployed Long Island residents became inspired to help other people find jobs. The group, which included three West Hempstead residents at the time, met at a diner for breakfast each week to discuss interview horror stories and brainstorm ways they could remain optimistic through their search for a new job. The organization provides employment and career counseling, workshops, interviewing classes and referrals, among other assistance, to help those who are seeking employment after losing jobs in their mid-life years. The club also hosts meetings each month, which includes sessions at which attendees can discuss their job interview stories and listen to motivational speeches. The club has grown from five to 190 members since its inception, and it includes residents from Nassau and Suffolk counties. To date, 87 members have found jobs. Club founders also contend that some of the services that the organization provides should be viewed as unique. At the meetings, several guest speakers are simply there to help bring a little laughter to those sitting in the audience. The club also encourages job-seekers to consider pursuing a new career or something they are passionate about in between their job search. The club has also expanded its services to include a free ride on a 10-year-old horse named Oopsy at the Lakewood Stables in West Hempstead. Alex Jacobson, the owner of the stables and a Baldwin Harbor resident, said that when members visit the stables to go on a trail ride with Oopsy, it helps them to relax for a little while and eventually enables them to regain their job hunting confidence and energy. And news about the club’s efforts is starting to spread internationally. After being interviewed live by Cooper on June 18, the club was featured on a news segment with Johnson on July 1. Then, just a hour after the Herald interviewed Fidis on July 2, he spoke about the club on a radio talk show in Japan. The club is scheduled to appear on a segment on Verizon’s FiOS1 Long Island news channel on Saturday. “The response to the club is growing because the services that we provide literally fit into what’s going on in the economy today,” Fidis said. “The club is able to stand out because we have a job success ratio and our approach is unique. We’re a different kind of organization because we’re a support group and we help people get re-energized, so they can get back out there and find a job.”What is frustrating officials in the club, however, is that they have garnered very little support from local government on Long Island, which is where many of the members live. For the past two years, members said, they have been reaching out to their elected officials on both the town and county levels for assistance, but their efforts have been unsuccessful. The club’s next meeting will be held on Saturday at the Piccola Bussola restaurant in Mineola at 9 a.m. For more information, go to longislandbreakfastclub.org. Comments about this story? DWilliams@liherald.com or (516) 569-4000 ext. 205.